As countries like the United States continue to rely on surveillance drones, the challenge of shrinking the flying robots down to an inconspicuous size has become a point of interest for military researchers. Scientists at Charles Stark Draper Laboratory in the US, have developed a way of using living insects as drones. The research has been named DragonflEye, and is essentially a cyborg dragon fly, meaning it is half dragonfly, half machine. It was created by genetically modifying regular dragonflies with "steering neurons" in the spinal cord of the insect. 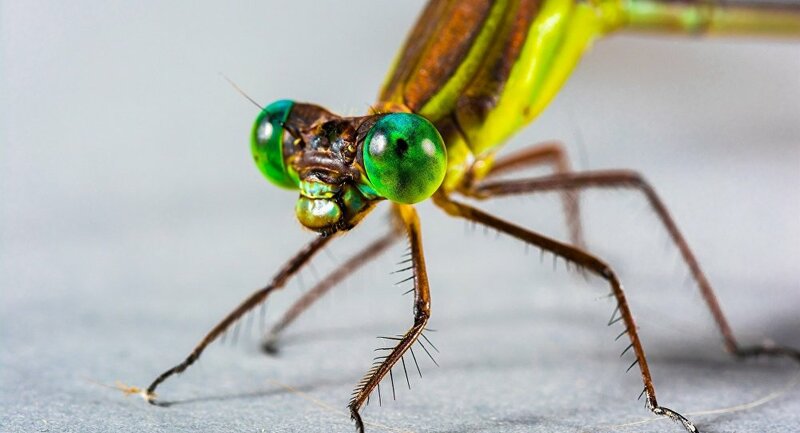 Through doing this tiny, fiber-optic-like structures in the eyes of the dragonfly send bursts of light to the brain, which then allows scientists to control where the insect flies via remote control. On the dragonfly's back, is a tiny device that appears as a backpack, which contains sensors and a solar panel to power the data collection technology. The hope is that dragonfly will then be able to be steered by the researchers and collect data through its sensors, environments that are either not safe for humans, or are to small for humans to fit through, such as cracks in walls. Some champion this as a huge breakthrough for technology, while others might feel slightly uncomfortable with the thought of genetic modification being used to control insects, or perhaps one day, even higher-up species. However, the cyborg insect could also be very advantageous to the way that we understand the world, and perhaps even one day to humans. Some have suggested that such technology could be used to help humans who are paralyzed to restore movement.